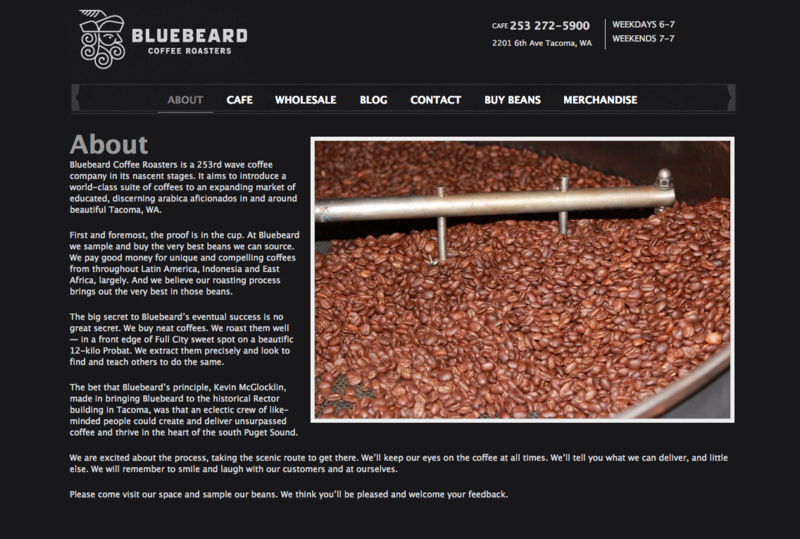 Bluebeard is a proud Tacoma coffee roaster and destination coffeehouse. And we think it is also the best coffee around. 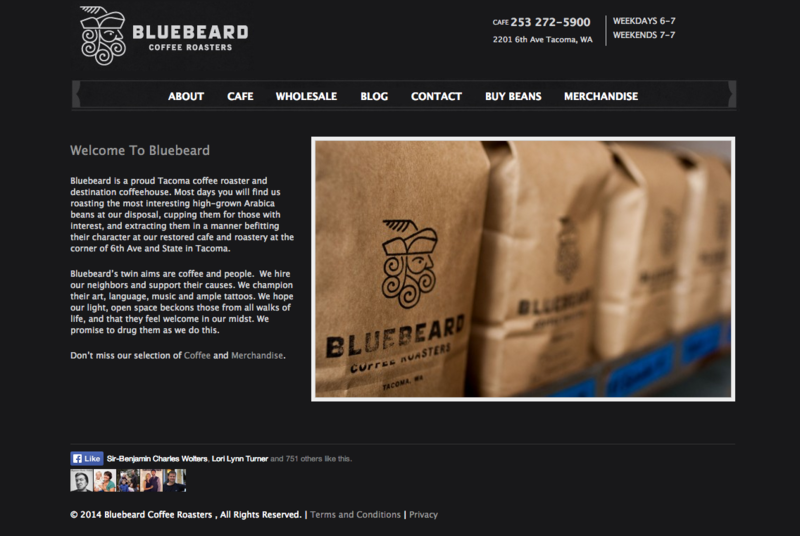 We loved this project because it combined two of our favorite things… coffee and web development. 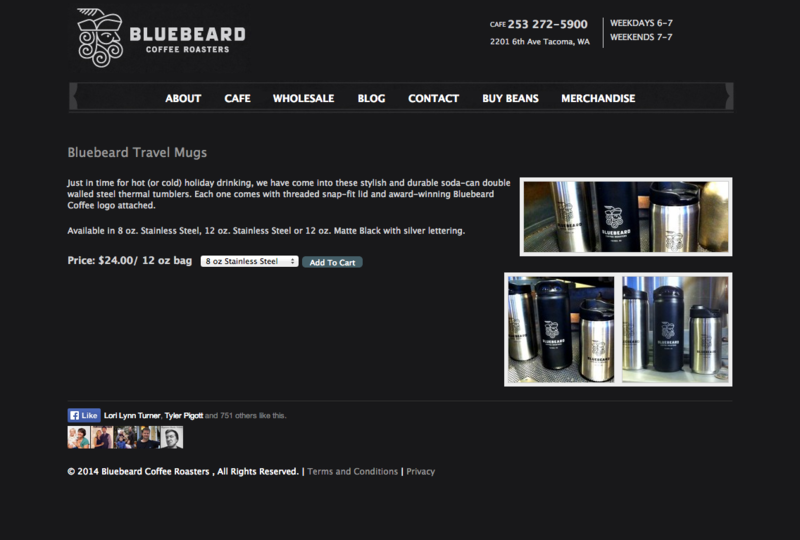 The site was built in WordPress and features some beautiful pictures we took of the Bluebeard cafe. 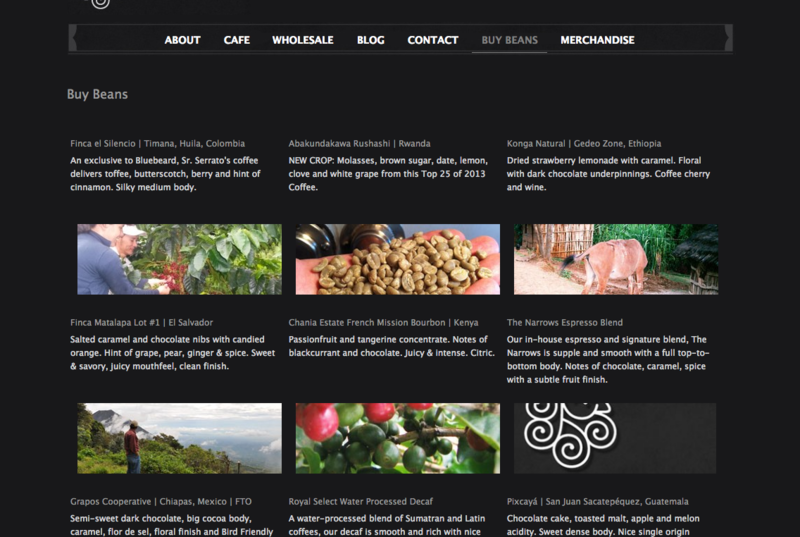 The site also includes one of our favorite web store implementations because of the simplicity of how it works. It is just really easy to use. Check out the website , and then stop in for some coffee. Actually while you are at it, come visit us! Our office is right upstairs in the same building.